Our southern resident killer whales (SRKW), the local, salmon-eating orcas, are starving to death. And the small size of the king salmon we boated this summer has had me thinking a lot about these whales, which we see on a fairly regular basis around our home waters. There are currently 75 SRKWs left. Not seventy-five thousand. Not seventy-five hundred. Seventy-five. Period. They haven't had a live birth in three years. And the nation was transfixed last month by the story of a mourning mother whale who carried her stillborn baby for 17 days and a thousand miles. Heartbreaking, to say the least. These whales mean a lot to me personally. Like me, they are salmon fisherman, with a strong preference for the fatty flesh of large Chinook salmon. I've fished around them, watched them and, once, spent a night in a tent on the west shore of San Juan Island, listening to them breathe as they slept not more than 100 feet away. 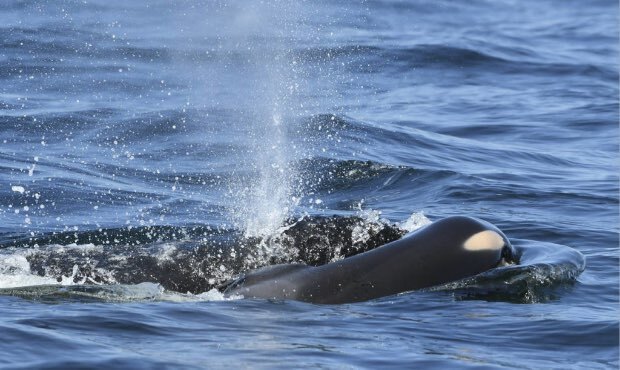 But more than any personal connection, the southern resident killer whale, as the apex predator of our Salish Sea, is the canary-in-the-coal-mine of our local waters. Unlike the healthier populations of transient, marine-mammal-eating killer whales, SRKWs not only prefer Chinook salmon, they need them to survive. Specifically, science tells us, they need large, fat-laden wild Chinook salmon. But over the last century, the size and fat content of these fish has decreased precipitously. Before 1920, the average size of an adult Puget Sound king was about 25 pounds. In recent years, the average has fallen below 10 pounds per fish. This summer, at least for us, the average was probably closer to seven. The overall numbers of Chinook have plummeted as well: Today, we are at less than 10% of the historical population of Puget Sound wild Chinook. There are a number of factors involved, but the dominant forces that have shrunk the population--and the individual fish themselves--are an intensive open-ocean, mixed-stock commercial fishery, exacerbated by heavy reliance on hatchery production. In short, the only fish that survive the harvest are those that spend as little time as possible (i.e., mature quickly) in the kill zone off the coast of British Columbia. We are selecting for fish that mature at a younger age and smaller size. Add the inbreeding, domestication and lack of diversity--which result in poor overall survival--found in hatchery salmon, and it's no wonder the orcas are starving. If we want to save the last of our southern resident killer whales, we need both short- and long-term solutions. In the short term, simply put, the whales need more king salmon to eat. Right now. There are two options for feeding the whales immediately: We can either ramp up hatchery production or reduce open-ocean harvest. Not surprisingly, Governor Inslee has recommended a large increase in hatchery Chinook production. This means nobody needs to stop fishing, and theoretically, there will be more fish for sport fishermen and commercial fishermen as well. It also means more money for the hatchery industry. In other words, a "painless" and politically popular decision. The other option, to curtail ocean fisheries, would likely be unpopular among people who vote. It would hurt commercial fishermen, sport fishermen, and tribal and government-run hatcheries. But hatcheries are a part of what got us to this point in the first place. More importantly, science shows that the addition of more hatchery fish frequently results in fewer fish available for harvest, by humans or whales. And, since we know that the presence of hatchery fish works as a powerful detriment to wild fish recovery, Governor Inslee's recommendation could actually work counter to the desired goal of providing more food for SRKWs in both the short- and long term. Shooting ourselves in the foot--or perhaps both feet--as it were. And it puts us in the uncomfortable position of choosing to further endanger one endangered species (wild Chinook) to save another (SRKW). So the only real short-term solution is the painful one. We need to fish less. That would involve shifting open-ocean fisheries to areas closer to river mouths (the salmon's destinations) so we can know which fish we are harvesting, and allow the orcas to have the "first shot" at larger numbers of Chinook salmon. No extra money for the hatchery industry. And probably an overall reduction in sport and commercial fishing opportunities. This would clearly upset a fair number of voters, making it more difficult for elected officials who support such a plan to be reelected. But it is sometimes the job of responsible government to make unpopular decisions for the greater good. Especially when a vast majority of published, peer-reviewed scientific studies support those unpopular decisions. If saving southern resident killer whales is truly what we consider to be a greater good, this it the time for our officials, including Governor Inslee, to listen to the science and do the right thing. And that's just the beginning. SRKWs feed off the mouth of the Columbia River in winter to take advantage of the highest-fat-content salmon of the year--spring Chinook bound for Idaho's Snake, Clearwater and Salmon Rivers. Those fish, like Puget Sound summer kings, have also shrunk dramatically in size and number. Last September, I spent days traveling up and down those rivers in Idaho looking at miles of empty gravel riffles. Habitat that should have been packed with spawning spring Chinook. 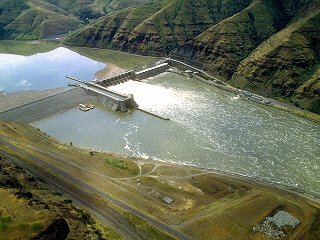 But the four lower Snake River dams have taken a brutal toll on these fish, as well as the prized wild B-run steelhead. We need to redouble our efforts to remove these obsolete dams. But I've also recently learned that there's a quicker potential option, and since the state of the orcas is dire, I think we need to consider it: Opening up the locks at these dams and allowing the reservoirs to drain and the river to run freely through them. It's not in lieu of removing dams, just a quicker way to gain similar benefits in a much shorter period of time. These are the options I hope Governor Inslee, and the task force he's assembled to address the SRKW situation, will consider. And implement. But given the unpopular nature of what I'm suggesting, and a politician's need for reelection, I'm not holding my breath. Look at climate change: A staggering majority of scientists tell us it's happening, we caused it, and the effects will be catastrophic. And yet we elected a President and a majority in congress who not only refuse to act, or even believe the science, but are in fact working to deconstruct even the smallest efforts to stop heating up our planet. If our governor wants to be seen as the rational, scientifically driven politician, which I believe he does, I suggest he study up on the science of salmon and not make hatcheries his own version of climate denial.